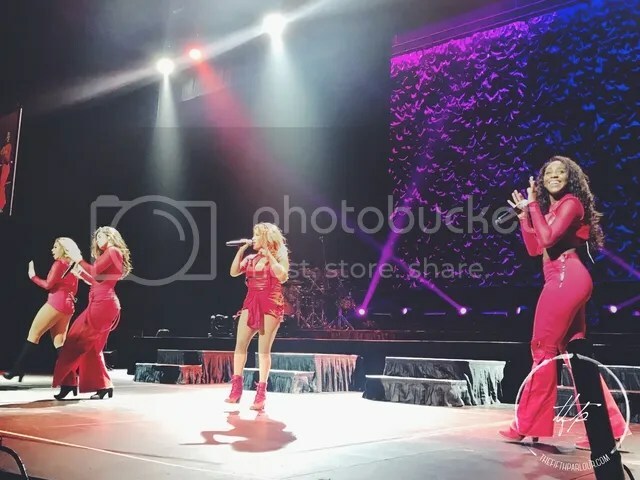 Over the weekend, pop powerhouse girl group, Fifth Harmony, wrapped up their successful global 7/27 tour in Singapore at The Star Vista Performing Theatre. Labelled as one of the most anticipated tours in 2017, it was the girls first time in Asia and in Singapore, making Singaporean Harmonizers thrilled for the girls’ visit to the country after waiting for almost five years. Fifth Harmony is an American girl group formed on the second season of The X Factor USA 2012, consisting of members Ally Brooke, Dinah Jane, Normani Kordei and Lauren Jauregui. Soon after the lights were turned down, Missy Elliot’s I’m Better was played in the background before the girls took the stage while deafening screams filled the entire theatre. The girls’ started the night with That’s My Girl which had the crowd singing along to the entire song. Dinah addressed the crowd after the song and mentioned how happy the girls were to be in Singapore, to mark the end of their 7/27 tour. Before the girls sang songs for their recent 7/27 album, the girls did a throwback to their debut album and EP performing songs like Sledgehammer, Miss Movin On, This Is How We Roll and Reflection. Every aspect of their show was on fire … from their outfits to their dancing and powerful vocals! There was no doubt that the entire theatre was dancing along to their songs. 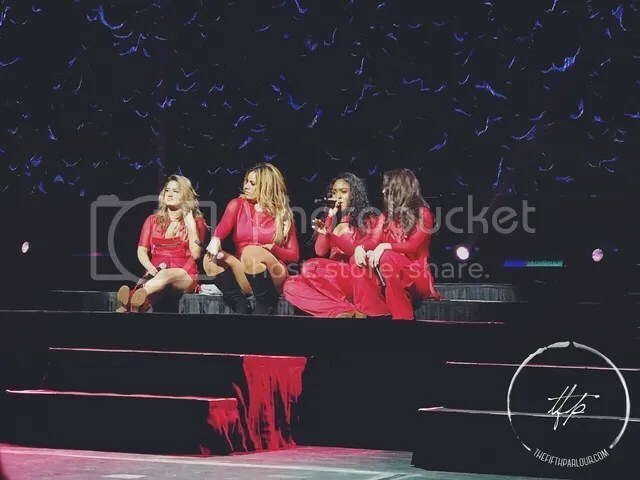 The girls then went out to perform songs from their current album; Scared of Happy, I Lied and Write on Me. Next, they took it slow and sang more toned songs like We Know and No Way, which is also where each of the girls’ voices shined so brightly and you could hear them singing the songs with emotions. The girls then sat on the stage while Dinah picked 2 lucky fans from the crowd to join them onstage while they performed Brave Honest Beautiful. Ally could be seen tearing up when Dinah thanked the production crew and their family for making the tour and their dreams into a reality. The girls went on to perform their smash hits, Boss, Worth It and Work from Home but not before giving some emotional and inspiring speeches to the crowd. This clearly showed the strong bond between the girls despite what they have been through. 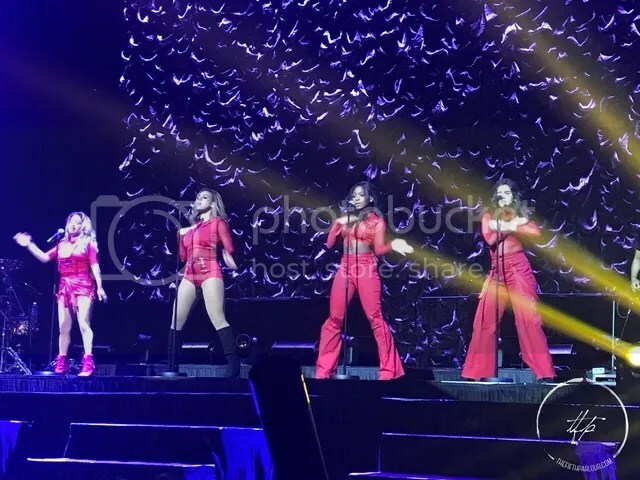 After their sizzling performance of Worth It, we all knew that it was the end of the concert as the girls closed the show with their #1 hit Work from Home and thereafter thanking the fans for coming down to their first ever show in Singapore! Ps, Dinah also mentioned that they will definitely be coming back to Singapore during their next tour, so we can’t wait for that!